ALAPTO is raising funds to create something amazing in the halls of Aldo Leopold Community School. 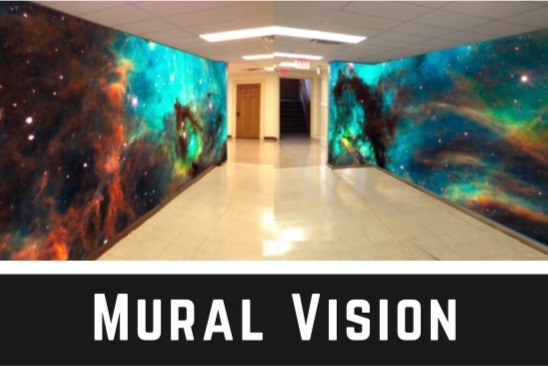 The ‘Space Walk’ brings life and energy to these walls. There is a great experience of walking through the hallway - with viewers feeling weightless, floating through the stars. The expansiveness of the scene draws us in and holds our attention. Viewers are left with a great sense of wonder and appreciation about our place in the stars. ‘Space Walk’ This design is based on a photo from the Hubble Telescope. The colorful scene of deep space shows the beauty, complexity and scale of our universe. The design concept is both educational and decorative - inspiring students to both understand and wonder about what’s out there in space. The total cost includes all supplies, materials and labor.